The 18th Asian Games were successfully organized from August 18 to September 2, 2018 in Jakarta and Palembang in Indonesia. The 2018 Asian Games opened on August 18, 2018 with a splendid and spectacular inauguration ceremony at Gelora Bung Karno Stadium in Jakarta. Thousands of sportspersons from about 45 Asian countries took part in the opening ceremony of the 18th Asian Games. India’s javelin thrower Neeraj Chopra led the Indian contingent as the flag bearer in the opening ceremony at GBK stadium. Indonesian President Joko Widodo took the entry in the stadium on a motorcycle. The Afghan contingent took the entry first in the stadium in the opening ceremony. The athletes from North Korea and South Korea entered the stadium as a one united team show growing close ties between the two countries. Indonesia gave the glimpses of its culture, heritage and customs through many programmes in the opening ceremony. 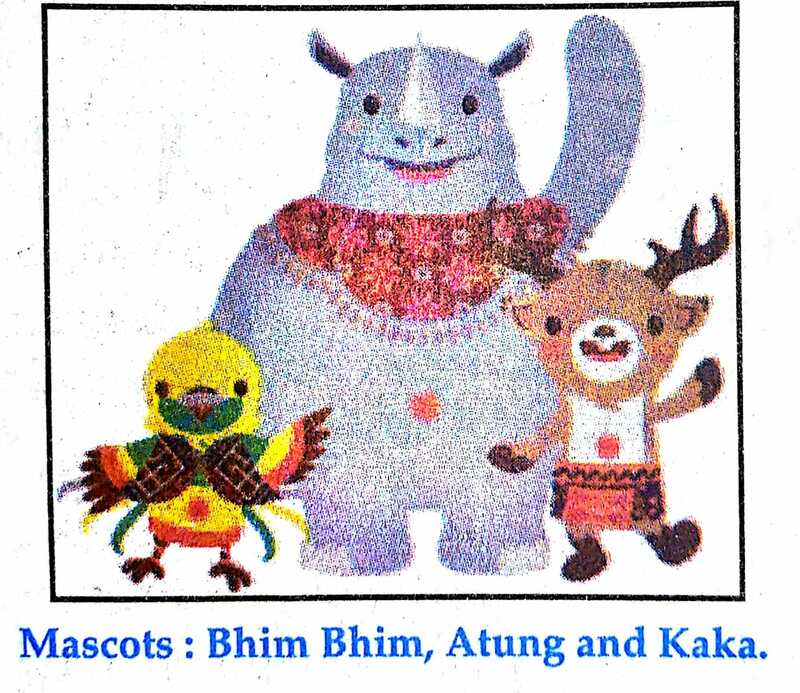 About Moscots Bhim Bhim, the colorful bird of paradise, Atung, the Bowean deer and Kaka, the one-horned Javan rhino were the three mascots of the 18th Asian Games. Chinese Wushu athlete Sun Peiyuan clinched the first Gold medal of the 18th Asian Games. Sun scored 9.75 to win the men’s Changquan category of Wushu. Bajrang Punia won the first gold medal for India in the 18th Asian Games Bajrang won the top prize in Men’s 65 kg category wrestling. China as usual dominated the Asian Games in Jakarta in terms of medals from beginning to end. China emerged overall champion of the 18th Asian Games, winning whopping 289 medals including 132 golds and 92 silvers. Japan, another sport powerhouse of Asia, finished distant second on the medal tally. Japan clinched total 205 medals including 75 golds and 56 silvers. Host Indonesia clinched total 98 medals in the games (31 golds, 24 silvers and 43 bronzes) to secure fourth position in the medal tally. India remained on 8th position, winning impressive 69 medals including 15 golds and 24 silvers. Indonesia successfully hosted the mega sport event for 16 days in Jakarta and Palembang. The Games came to a successful conclusion on September 2, 2018 when Indonesia bade an emotional adieu to the Games. Olympic Council of Asia President Sheikh Ahmed Al-Fahad Al-Ahmed Al-Sabah congratulated the hosts for a successful organizing of the Games. International Olympic Committee President Thomas Bach also attended the closing ceremony. Indonesia presented its culture through many colourful programmes in it. The two Koreans again gave a unified entry in the closing ceremony ending the games on a positive and cheerful note. Indian women’s hockey team captain Rani Rampal led the Indian athletes group as flag-bearer in the closing ceremony. The baton of the Asian Games was passed onto Hangzhou, China, the host of the 19th Asian Games in 2022. Below The table of top 10 countries of gold medallist winner of 2018 Asian Games. All 15 Gold Medallist Winner list are given below. Check Below the table. Above All Information are collected from official website and news sources, if you have any suggestion please comment below. Please Share With Friend to help Other.